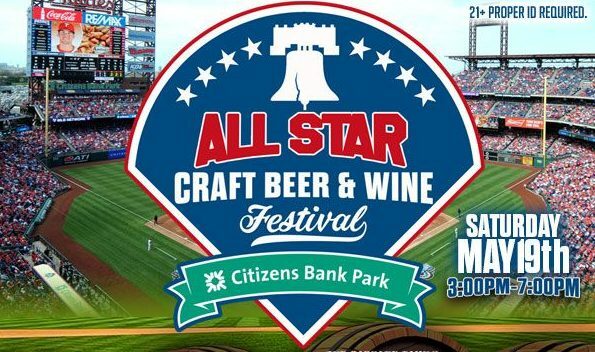 On Saturday, May 19th 2018 from 3pm – 7pm (2pm for VIPs), Citizens Bank Park will again be the host for Philadelphia’s largest and most well attended craft beer, wine and cocktail festival ever. This year, there is almost double the space from last year to sample, relax and enjoy the best beverage around in a huge 50,000 Sq Ft Craft Beer, Wine and Cocktail Garden, presented by Whole Foods Market, complete with draft trucks, live entertainment and more! !